TOKYO (JAXA PR) — The Japan Aerospace Exploration Agency (JAXA) will conduct a demonstration experiment of a microsatellite launch by SS-520 No. 5 as follows. 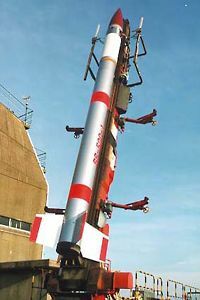 Description of Experiment: In response to the failure of SS-520 No. 4 experiment in January this year, a retry demonstration will be held for the development of rockets and satellites using civil engineering technology. The experiment has been approved by the Ministry of Economy, Trade and Industry, as part of its SERVIS project (Space Environment Reliability Verification Integrated System). Store and Forward mission, where TRICOM-1R stores data transmitted from the ground and forwards data to the ground as the satellite positions above the ground control. Take photographs of the Earth with its onboard camera. 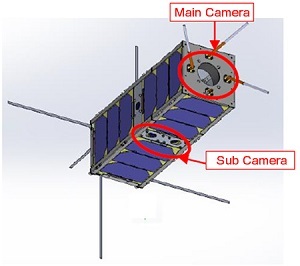 Immediate observation mission which autonomously carries out observations of the Earth immediately after the launch and the insertation into the orbit, and sends the observation data to the ground upon the first communication with the ground station. One mile? I hadn’t realised he was aiming so low. Hasn’t someone told him that a single engine light aircraft (Cessna 172/Piper-Cherokee/etc) can go more than double that? With enough range to either loiter there or to fly over the horizon, so he can watch mountains rise into view. And a 1 hour tourist flight probably costs vastly less than his “rocket”.